Attention all Conquer Clubbers!! Welcome to the second graphics competition in conjunction with The Great Community Map Project. 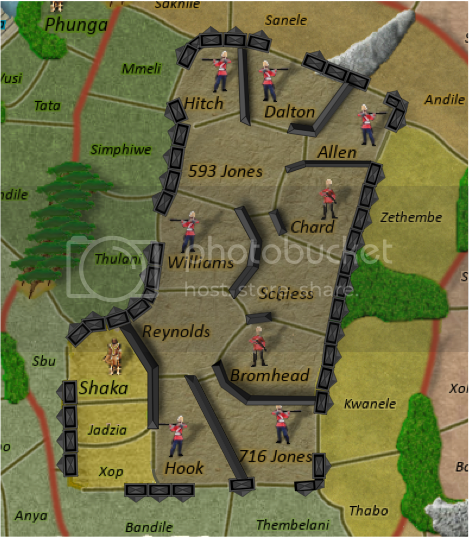 Below, you will find two images from my Rorke's Drift map. 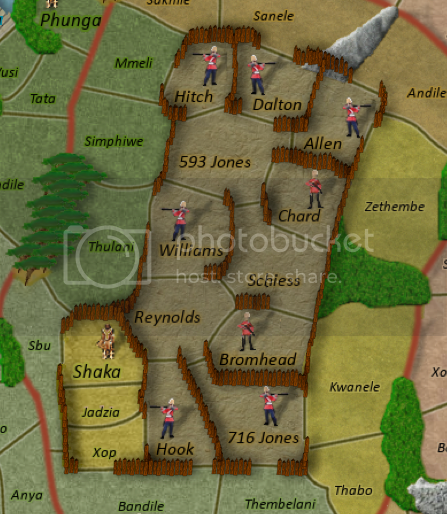 The only difference between the two images are the impassables for the outpost have been removed. Your job is to put them back in. Do not copy my impassables. This contest is to see if you can come up with something better. You cannot resize the images. You must not change the game play. You can submit up to two entries. DO NOT put your name on the image! Send your images to me koontz1973 via PM. All submissions must be in by this time. 500 Conquer Credits or your name (variation may be used) as one of the regions on The Great Community Map. All entries will be judged by a crack squad of troops who recently broke out of a maximum security stockade to the Los Angeles underground. Today, still wanted by El_Jefe they survive as soldiers of fortune. If you have a problem, if no one else can help, and if you can find them....maybe you can hire The Mod-Team. Re: #GCCH Graphics Competition Two. It would be, but as this was my first, it is a bloody messy file. Believe me when I say it may do you chances more harm than good. 14th. First post has the link to the correct timing. Can we edit your image or just add in impassables? rokus35 wrote: Can we edit your image or just add in impassables? If you feel you can edit the image to give you a better look overall then do so. well that opens up a whole new realm of possibilities. RjBeals wrote: well that opens up a whole new realm of possibilities. Only one entry so far for this. I was hoping for a lot more. Just to giving the judging panel something to do. I'm going to try and enter. I have something started - hoping I can finish in time. I guess this one should be over? It is. All entries are of to the mod squad for judging. curious if more than 2 people entered ? I have 4 entries from 3 people only. Seems to be a shortage of graphics people nowadays. I asked for the judges to give me results by today so I will announce tomorrow. Sooner if the last judge gives me answers. But it is very close between two entries. We have a winner for this now. Just waiting on the winner to let me know the prize they want. But here are the four main entries and a special mention. Not in the order of winning places. dakky21 got a second entry to me for fun. As you can see, it does not really go with the theme of a war map. More like a Sans Francisco 60s love fest. Whilst he has not won anything for this, it has made my decision a lot easier over who to award a special medal to. Dakky wins! Flowers all the way. Rj has the best entry... I am waiting for a full map contest to enter! Bruceswar wrote: Rj has the best entry... I am waiting for a full map contest to enter! Time to announce the winners of this one. RjBeals with this entry. 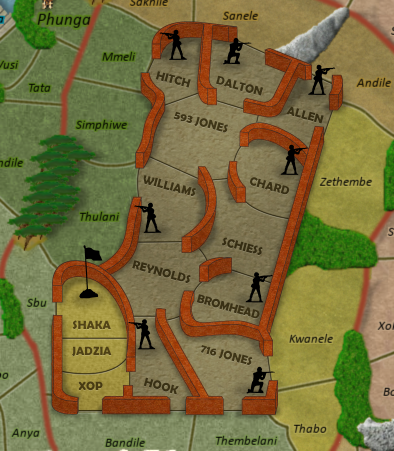 He has chosen to have his name on the map and will be in the competition posted on Monday. Second place goes to CJ Lues who only lost by 4 points. Third goes to dakky21 for this concreted effort.